We are committed to building long-term relationships with our clients by delivering superior quality craftsmanship and exceptional customer service from pre-construction through project completion. We promise a great building experience, every time, and pride ourselves on delivering impeccable award-winning craftsmanship and unrivaled attention to detail in every project. A rated business with many references. Quality of work is our priority, let our professionals make your vision become a reality. We are a general contracting company that has built a reputation for excellence & customer satisfaction. We bring your vision to life with exceptional craftsmanship & careful project management. For more than a decade, The Remodeling Company has worked closely with homeowners, architects, and designers to bring our clientsʼ ideas to life. If you can imagine it, we can make it happen. 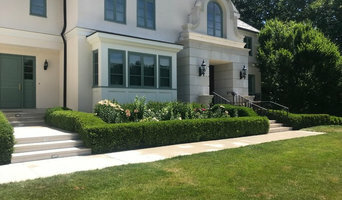 JMS Partners Ince is a full-service high quality building & remodeling firm. We would love to speak with you about your project. Our principal, ensures every aspect of the project is done professionally, from beginning to end. We pride ourselves on completing your project on time and within your budget. Since 2001 Marco Polo Construction team have been building homes & renovations in Massachusetts and Boston area. We continue to dedicate ourselves to our clients and perfecting our craft! MKB Partners LLC is a single source general contracting and real estate management company. Our services include design/build, new construction, renovation, site supervision & more! We are known throughout the Boston area for our high quality in craftsmanship & our attention to detail. We promise to never deliver a project until the customer is completely satisfied with our work! Developing fine residential properties located throughout the South Shore, Cape Cod, and Boston. Godwin Construction is a general contracting company focused on assisting in all stages of home building, with a premier attention to detail in constructing quality homes on time and within budget. The business is built on many established, trusted relationships with all facets of home construction. Godwin Construction works with only the finest architectural firms, land developers, and highest quality craftsmen in the area. We pride ourselves on the passion and commitment we bring to our clients, coupled with our unique home designs. Our custom built homes are designed for today’s modern family and lifestyles. Dana LLC is Boston's premier full-service General Contractor. We specialize in renovations and new construction. We look forward to working with you on your upcoming remodels and renovations. If you're on the brink of a large home improvement project, remodel, or new build, you'll likely want to hire a general contractor in West Concord, MA. These professionals manage all aspects of the job to ensure it's completed on schedule and to your satisfaction. Whether you’re trying to find West Concord building contractors for a new construction, or home improvement contractors to spruce up your existing place, it’s important know exactly what role they will play in the project. Read more below for a list of must-ask questions. General, or construction contractors, are often known as project managers. They oversee the entire remodeling or new home construction project and facilitate all day-to-day tasks that move it toward completion. A West Concord general building contractor will work with your architect to review plan as you build a house and ensure everything is in place before work is started as well as arrange for permits and necessary inspections. 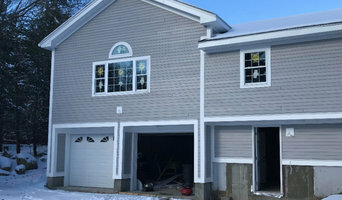 While good local home improvement contractors in West Concord will have the skills to handle certain tasks onsite, such as carpentry, he or she is also responsible for hiring subcontractors for the majority of jobs, such as electrical work, painting or plumbing. In addition, the general contractor should be on-site regularly to inspect the progress and resolve issues. Here are some related professionals and vendors to complement the work of general contractors: Architects & Building Designers, Interior Designers & Decorators, Landscape Architects & Landscape Designers, Kitchen & Bath Designers, Specialty Contractors. Home remodeling contractors are a must for successful completion of a renovation. Because of this, it's essential that you do your homework before deciding on the right general contractor in West Concord as you remodel or build a house. Inspect bids carefully. Was it ready when the contractor promised it? Was the bid for building a home unusually high or low? Each of these things can be very telling: A late bid may reflect timing standards, and an off-the-mark bid could be code for a pricey premium or a deliberate underbid to score the remodeling job. You should call references, carefully read reviews and visit completed projects in West Concord, MA to see if they’re what you expect for your job. Once you do secure your local West Concord contractors, read the contract very carefully to be sure everyone is on the same page. Find a West Concord contractor on Houzz. 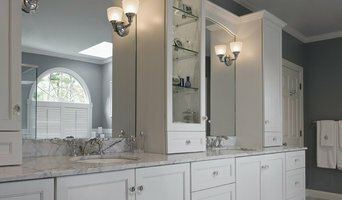 Narrow your search in the Professionals section of the website to West Concord, MA home contractors. You can also search for photos in West Concord, MA and contact the West Concord general contractor who worked on the project.